The War Tax Resisters Penalty Fund was established in 1982 . It helps war tax resisters who have had penalties and interest added to their tax bills and seized by the IRS by reimbursing them for a large portion of these additional charges. The more people we could recruit to shoulder the penalties and interest of resisters, the lighter the burden for everyone. With the modest help we could provide, conscientious resisters were able to keep on keeping on. The penalty fund had the added benefit of making us all tax resisters, not just those who withheld all or a portion of their income taxes. The base list of supporters has been as high as 800 people sharing the weight. In nearly every appeal, at least 200 people respond, usually more. In all we’ve paid out about $250,000 to help resisters stay in the struggle. 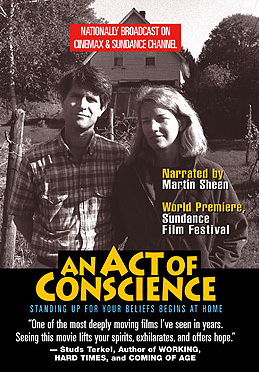 The story of the seizure of the Kehler/Corner home was the subject of the documentary An Act of Conscience . Examples like this also proved to be vivid anecdotes that the press could use when describing the siege and the support from sympathizers. When the U.S. government seized Amish tax resister Valentine Byler’s horses and their harnesses while he was in the field preparing for spring planting, sympathetic neighbors allowed him to borrow their horses so he could continue his work. Other sympathizers throughout the country who heard about the case sent Byler money — more than enough to buy a new team. An auctioneer who was dragooned into helping the government sell some of the livestock of a man who had been resisting taxes meant to pay for sectarian education in 1903 , donated the fee he had earned for conducting the auction to the resister. Similar monkeywrenching is being practiced today in Greece, where activists promptly reconnect utilities of people who have been disconnected for failure to pay the increased taxes attached to their utility bills. During the Annuity Tax resistance in Edinburgh, people sympathetic to the resisters would bid on and return furniture and other items that had been seized and sold by the tax collectors. At Maesgwenllian near Kidwelly, several bailiffs were put in possession for arrears of rent to the amount of £150, but about one o’clock on the morning of 11th September , Rebecca and a great number of her followers made their appearance on the premises, and after driving the bailiffs off, took away the whole of the goods distrained on. As soon as daylight appeared, the bailiffs returned, but found no traces of Rebecca, nor of the goods which had been taken away. When war tax resister Cosmas Raimondi’s car was seized by the IRS in 1982 , a handful of families in his parish offered to permanently loan him their car so he could still get around, and many others loaned him their cars temporarily. “I’ve not had to ask one person,” he said. In Beit Sahour, when the Israeli occupation authorities seized furniture and appliances from resisters, relatives and others would loan them spares, or camping furniture to use as replacements. The feeling in the neighbourhood towards my act of passive resistance was so excellent and the publicity being given by the Press in the evening papers was so valuable that we decided to make the Hammersmith “Fort” for the time being the centre of the W.S.P.U. activities, and daily demonstrations were arranged for and eventually carried out. … The roadway was… ideal for the holding of a meeting, as no blocking of traffic could take place, and day in, day out the principles for which suffragists were standing we expounded to many who before had never even heard of the words Woman Suffrage. At the evening demonstrations rows of lamps were hung along the top of the wall and against the house, the members of the W.S.P.U. speaking from the steps of the house, while I spoke from one of the upstairs windows. “I might have cried if I were alone,” Gravalos admitted. But she was far from alone. About 75 supporters gathered outside the building and spoke of their solidarity with Elizabeth and Arthur. About 35 supporters turned up for the second auction, this time held at the IRS office in Lewiston, Maine. Demonstrators read excerpts from letters to IRS officials and to President Clinton urging them to call off the auction. In 1997 , the IRS levied 78-year-old war tax resister Ruth McKay’s social security checks to recoup the taxes she had been refusing to pay over the previous 20 years. To show their support of her stand, 40 activists from New Hampshire Peace Action joined her for a vigil at the federal courthouse in Concord, New Hampshire. When war tax resister Maria Smith’s wages were garnisheed by the IRS in 2005 , fifty supporters held a special church service in her honor. On the other hand, some campaigns have taken the position that sacrifices for the cause are their own reward — that martyrdom is a blessing and that it would be foolish for such resisters to seek or accept recompense. The government takes more money from people’s paychecks in withholding than they owe, then pays them back refunds in April. Seems like a wash? Not really; if the government had to borrow all that extra money it would cost them billions in interest. Also: when the tax collector seized goods from the store of Levi Oppenheimer in 1906, hundreds of Kentucky residents gathered to seize the goods back and return them to Oppenheimer. “Woman’s Duty of Rebellion” included the duty to refuse taxes, said Elizabeth Clarke Wolstenholme Elmy. Also: Harry Kelly in the American anarchist magazine “Mother Earth” looked at the suffragist tax resisters and the tax resisters who inspired them. And: Patrick Quinn goes to jail during a one-man, 63¢ tax strike in 1936, claiming the government cheated him… and it actually works. 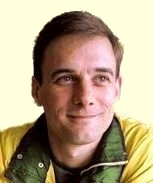 Tax resistance in the fading months of the Somoza regime in Nicaragua. Also: Nathaniel Morgan unsuccessfully tries to get the London Yearly Meeting to endorse war tax resistance in the early 1800s.